Reliable, durable, tough and efficient. These are just a few qualities you should look for in your air compressor products. 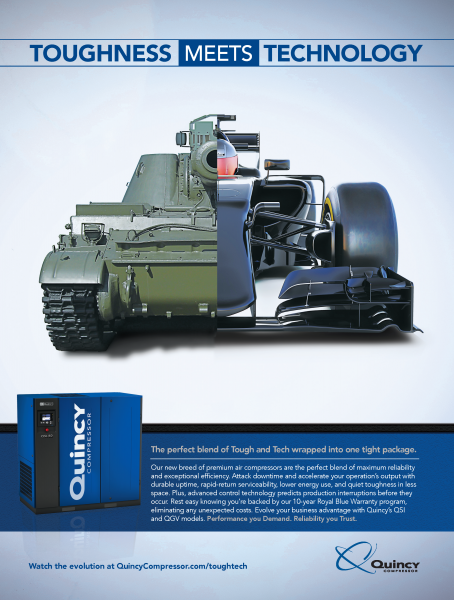 Luckily, Quincy Compressor products offer just that. With many models all backed by a 10 year warranty, these compressors are specially designed to take your business to the next level. Not sure you’re ready to make the switch? Contact us today and let us answer your questions. With over 45 years of experience, we will find the right air compression solution for you.